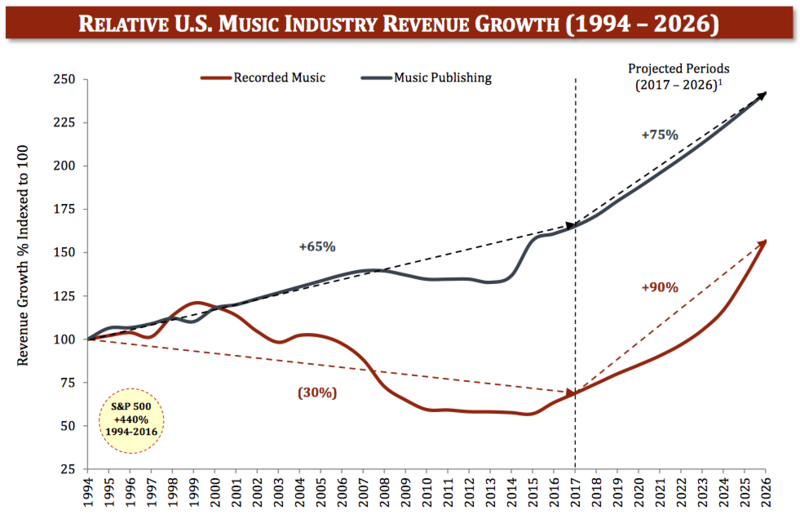 Worldwide Music Publishing Revenues were 5.6 billion in 2012 are projected grow to 6.0 billion by 2015. 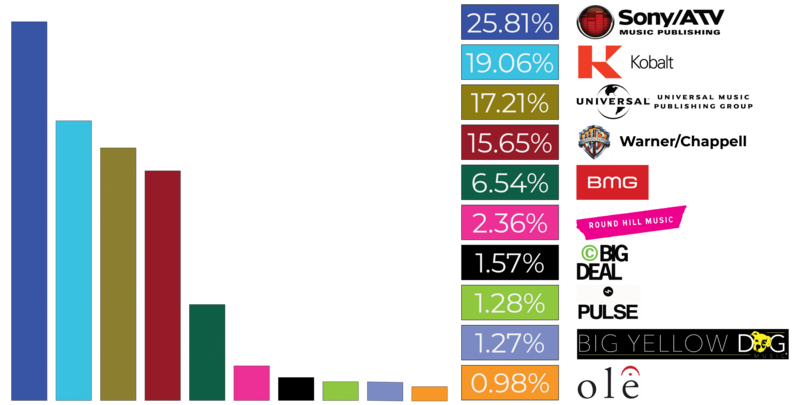 During the transition from albums to digital downloads, the diversification of publishing royalty streams provided a clear advantage over recorded music. With a higher percentage of streaming revenue and the ability to collect a performance royalty on digital radio formats, recorded music and labels are expected to benefit disproportionately from streaming (relative to publishers). The primary risk to these projections is Spotify’s ability to pay royalties at current levels while generating the margins necessary to go public, attract investors and fund operations/growth.